Great winnings are hidden in the lost jungles of Jackpot Jungles slots. Play this 5 reels, 20 paylines slot game now and win big alongside Mowgli! At the seat of Moon Games, a wonderful adventure awaits you on Jungle Jackpots slots. You better grab your backpack and wear your boots before hitting the reels of this game. 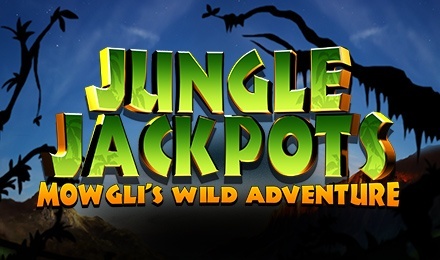 Made with 5 reels and 20 paylines, this slot game brings you deep into the jungles which hide a huge treasure. On this Mowgli themed slot game, you will find some amazing features like: Baloo Bonus, Mowgli’s Wilds, Elephant’s Expanding Wild and Snakes’ Locking Wild. Watch out for the Golden Apple Tree as it gives the maximum payout of 1000x your stake.